Strawberries are a beautifully sweet, aromatic, fiber rich fruit that is packed with vitamins, and antioxidants. 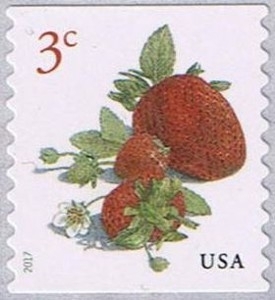 According to the Germplasm Resources Information Network (part of the United States Department of Agriculture), there are 103 distinct species and subspecies of strawberry plants. The peak season for strawberries is typically April through June, but generally speaking you can get strawberries year round. Strawberries are a voluminous fruit, containing little calories and carbohydrate in a large portion. One cup of strawberries contains only 49 calories and provides 3 g of heart healthy fiber, and only 12 g of carbohydrate. A cup of strawberries also provides more than a day’s worth of vitamin C. If you are looking to add a few to your smoothie, you can tally the calories, fiber and carbohydrates of each berry: 1 large (1 3/8-inch) strawberry: 6 calories, 0.4 grams fiber, 1.4 grams carbohydrates. Strawberries are low in calories, rich in fiber, vitamins and minerals such as vitamin C, folic acid, potassium and are packed with antioxidants, such as anthocyanins, and quercetin. The fiber and potassium in strawberries support heart health. High potassium intake has been associated with less risk of stroke. Folic acid is essential in fetal development and helps to produce and maintain new cells. Adequate amounts of fiber can help to lower cholesterol and a diet rich in potassium can aid in preventing high blood pressure and ischemic heart disease. Quercetin, a flavonoid found in strawberries, may reduce inflammation, which can be an independent factor in reducing atherosclerosis. In addition, quercetin may have anticancer effects. Research suggests that foods that contains anthocyanins may fend off certain chronic disease, including cardiovascular disease and certain cancers. Strawberries also have a high polyphenol content, another potential factor that can help to reduce blood pressure.